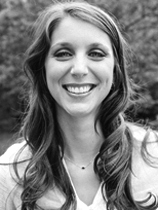 Dr. Parrish has a bachelors degree from Duke University with majors in Psychology and Human Development. After working in a private school for children with special needs, she earned her masters degree in school psychology from Northeastern University. She continued at Northeastern, earning her PhD in School and Counseling Psychology. Her focus during graduate school was on positive behavior supports for students and assessment of children ages 3-21. Dr. Parrish completed her doctoral internship at South Shore Mental Health and a therapeutic collaborative day school. There, she provided outpatient therapy for children and families, conducted psychological assessments, and conducted school placement assessments. Her post-doctoral fellowship at Massachusetts General Hospital focused on neuropsychology as well as assessment and services for children with autism spectrum disorders. She has also provided consultation to schools around students with autism spectrum disorders and school-based programs. Dr. Parrish has worked in a variety of clinical settings including schools, hospitals, and clinics. She is currently a school psychologist in the Newton Public Schools in addition to her work at ICCD. She lives with her husband, cat, and dog.